The official early weigh-ins for the event took place Friday morning in New York. The card’s entire 24-fighter roster hit their respective marks on the scale. You can stream the ceremonial weigh-ins below starting at 6PM ET/3PM PT. A middleweight title tilt between champion Michael Bisping and former welterweight king Georges St-Pierre headlines Saturday’s show inside NYC’s famed Madison Square Garden. 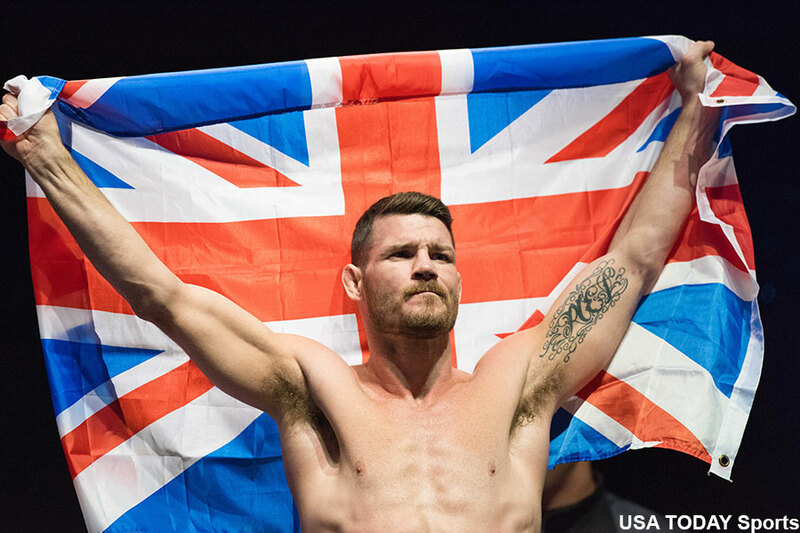 Bisping weighed in at 184.6 pounds, while St-Pierre, who returns from a four year “break from MMA,” clocked 184.4 pounds for his middleweight debut. Bantamweight champ Cody Garbrandt defends his throne against former Team Alpha Male teammate turned bitter rival T.J. Dillashaw in the co-main event. Joanna Jedrzejczyk also puts her strawweight crown on the line against Rose Namajunas.